I dont think I've ever shown my whole setup on here. Would the heater in the bottom left give FAE? Ya know? Or if I may suggest you could make a thread/ log or whatever you want to call it to ask all your questions. It would make it easier for you reference (and others learning as well) These one-hitter quitters get lost quite easily in the vast sea of others. It also makes it much easier for the folks that follow and take you under their wings to keep up. A single thread with complete experiences will attract more views and replies than 178 topics asking closed-ended questions. Also, it helps keep the place easier to navigate and creates less work for the volunteers that try to keep thing tidy for our viewers' convenience. Check out threads started from Catandbats and Skunk? 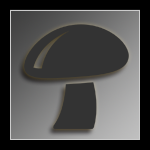 Like this one for example https://mycotopia.ne...254-the-bunker/. If it is pulling in air from outside then yeah, it would be giving fae. Okay then it wouldnt be cause its not. I was just checking i didnt wanna dry it out by fanning but good to know i wont. Okay I didn't look closely at the pic before i guess, I see the bpolyfil now in the sides, as long as the heater is not blowing too hard, the polyfil should control the fae. Actually, a tiny fan blowing at an opposite wall away from a monotub can be good for not having to fan all the time, but watch to make sure it doesn't get dried out, mist when needed. Edited by Billcoz, 07 April 2019 - 12:27 PM. Im misting and fanning once around 8-10 am, Then i turn my lights on, Then i check humidity at 4-5 and mist & fan again at 10 or later, Then turn my lights off. I try to give it 12 hours of light. Does it look like my lighting will give it enough light? Yes, mushrooms don't need light really, or it has minimal effect to give less than 12. They don't require the high-intensity light that plants do to grow. Your blue LEDs should be okay, though some people might say that a "daylight"(6500k) or "full"(5000k) spectrum is the standard, but yours should work just fine. I have given up on keeping a light on a timer, I just leave it on for a few hours at least a day, and it gets indirect sunlight from a window nearby.